Delivering postal packaging by post is wonderful for lightweight parcels, or goods that are not also bulky. The majority connected with postal services offers you various different distribution options, including overnight delivery. This makes them appealing to a lot of businesses to make use of to send postal packages. 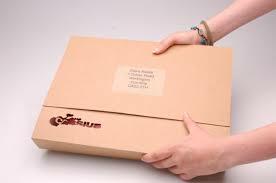 This article explain few key packaging materials that make sending packages by post easy: padded or bubble padded postal bags, cardboard postal mailing tubes, postal mailing boxes, wine bottle mailing boxes, postal despatch bags, foam lined postal boxes etc.